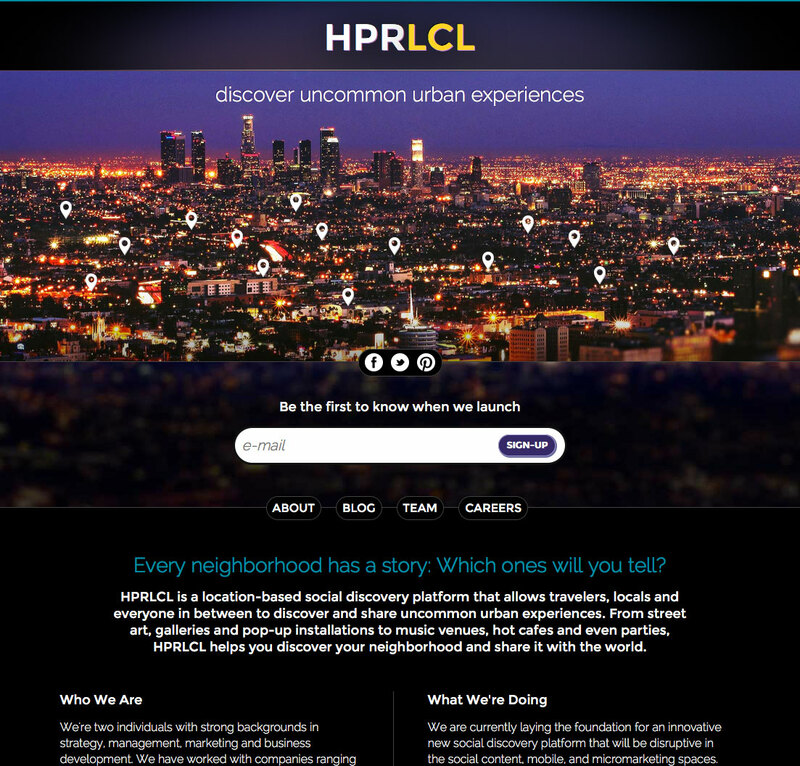 HPRLCL (Hyper Local) was a location-based startup focusing on highlighting unique experiences in urban areas. 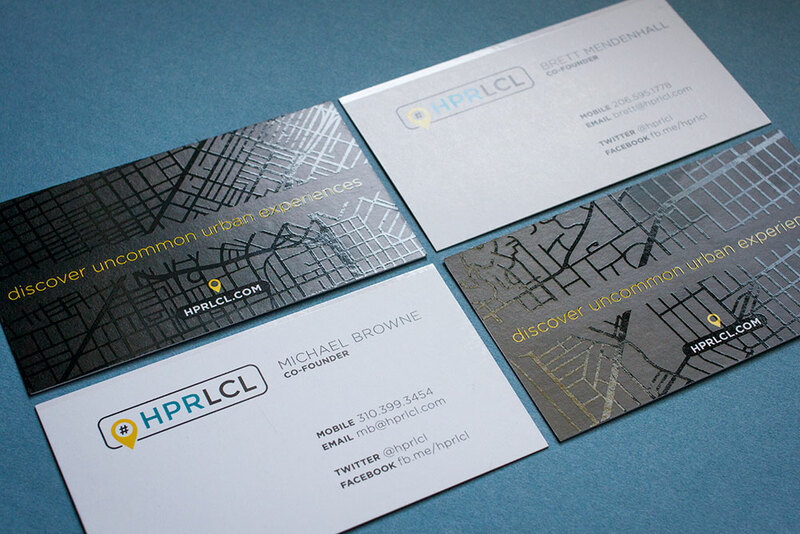 The founders came to me looking for some initial branding assets to use in order to secure funding for the concept. 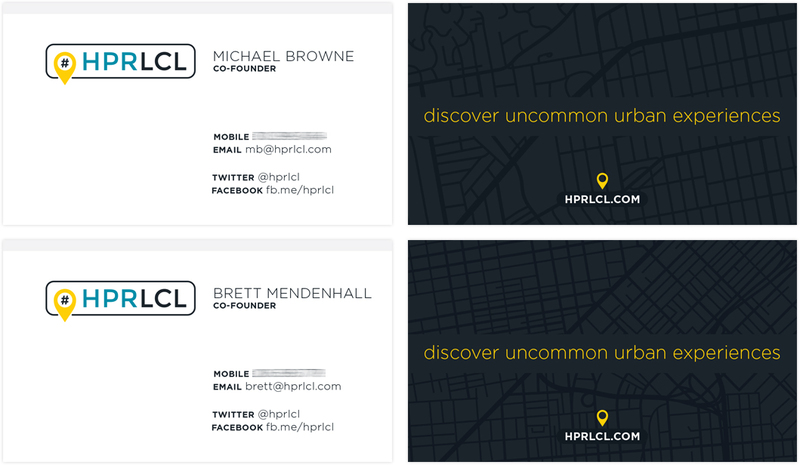 I provided a logo and identity package, as well as a simple lead-gen capture website that was used to recruit interested parties.